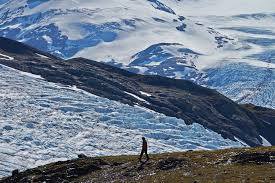 I walked along the base of the Wolverine Glacier in Alaska with God. I was shivering. I said that I thought that being around God would keep me warm. Through chattering teeth I said yes. But it wasn’t.